At the recent Chicago Auto Show, General Motors’ vice chairman Bob Lutz hinted at the possibility of using an extended version of the Camaro platform to build an all-new ultra-luxury vehicle for the Cadillac division. The car, which would be a potential rival to popular saloons such as the BMW 7-series and Mercedes S-Class, would most likely be powered by an engine “with more than eight cylinders” he said. 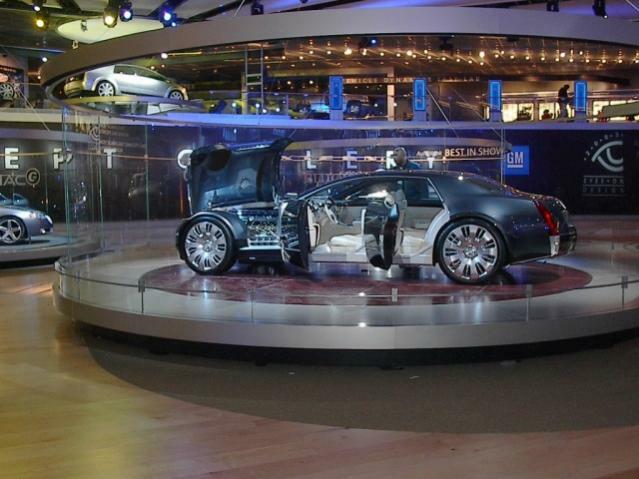 Automotive News is now reporting that Cadillac is developing the mechanicals for a V12 powered flagship, which it says will take design cues from the Cadillac Sixteen concept car that was displayed back in 2003. I guess this is a dream. GM as well as Cadillac need to walk away from avg mundane cars. Much of the GM line is plain boring .. but .. some are dream cars. A lot of union jobs are gone be lost either way, so why not embark on the road to build cars that many want and few can have. yes..... this will fit right into todays economy, and society... along with our dreams, and dreams of achievement we americans so much love and need. lets go cadillac.....! really, what are you all about? I love this car..its very elegant..this could be my next..my favorite part of this car is its Tail Pipe,, that really is very unique from others..
Last edited by kurtdaniel; 03-08-2010 at 08:16 PM. Yeah,its the new series of the Cadillac and its very awesome in design and gives a sleek look and its specs are also new and advanced,everyone want to drive it.Cadillac from many years get Fame in the Automotive world.